Every Tuesday afternoons from March 20-May 8th. Sign up by calling the Mansfield Activities Center at 817-728-3680 or their website at www.mansfieldtexas.gov. $35 per student for 6 weeks. 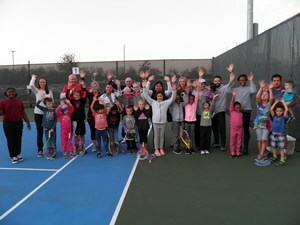 Sessions will be held at Chandler Park Tennis Center, 1530 N. Walnut Creek Drive, Mansfield, TX.